Our goal is to connect people with the best local experts. We scored home inspectors on more than 25 variables across five categories, and analysed the results to give you a hand-picked list of the best home inspectors in Mobile, AL. Affordable Home Inspections, L.L.C. in Mobile serves Baldwin and Mobile counties. Their home inspection is a visual inspection of the structure made by a qualified, professional inspector who is trained and experienced in evaluating all the component features of a house, and who is able to give a clear and accurate picture of the condition of these components. The company also provides infrared inspections using thermal imaging technology which can reveal hidden issues that are not visible to the naked eye. Their team of home inspectors is certified by the American Society of Home Inspectors and has passed that organization’s standards and ethics examination. They are also National Home Inspectors Examination licensed and certified, InterNACHI exam certified, and licensed by the State of Alabama. Based in Saraland, AL, Alabama Building Inspection Services helps customers in Mobile and Baldwin counties. Owner Jim Pinion has decades of residential and commercial inspections under his belt and is a contractor and electrician who can tackle issues he finds. He specializes in single-family and multi-family homes, condominiums, townhouse, modular, and manufactured homes. 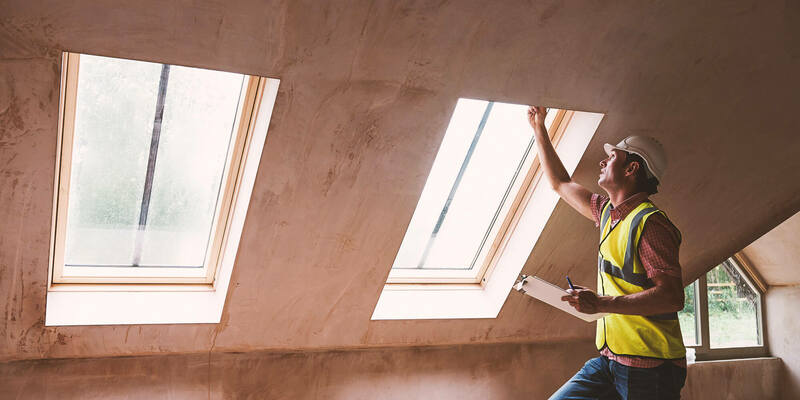 Inspections include evaluations of the home's general interior and exterior conditions, structural components, insulation, ventilation, electrical and plumbing systems, and the heating and cooling systems. Alabama Building Inspection Services has an A+ rating with the Better Business Bureau. Customers praise Jim for his expertise, thoroughness, and efficiency. Alliance Inspection Services was founded in 2006 in Spanish Fort and serves the whole of Mobile and Baldwin counties. They inspect all of the major systems and components in the client’s home, or prospective home, both inside and out. Following the inspection, they compile their findings into a detailed and easy-to-read report that includes high-resolution digital photos providing the visual details of the issues that were uncovered. The report will be completed and emailed to the client on the same day as the inspection. The company is always available after the inspection for questions or concerns and can video-tape a summary of their findings if the client is out of town at the time of the inspection. They offer warranties and RecallChek and are members of the International Association of Certified Home Inspectors and Ethical Inspectors.com. Delta Home Inspections developed as an independent company operated by owners with many years of experience in the construction industry. The company’s employees combine their previous experience building homes to help them inspect and analyze homes for buyers before the final sale. The company is independently owned and operated and serves clients in lower Alabama. Delta Home Inspections remains certified by the International Association of Certified Home Inspectors, Inc. and has licenses from the Home Builders Licensure Board and the State of Alabama as constructors and inspectors. The company’s numerous services include seller and buyer inspections, warranty inspections for new constructions, and construction phase inspections. The inspections include in depth analyses of a building’s structure, electrical equipment, HVAC system, and plumbing. Elder Home Inspections, LLC is a business that has been serving customers for more than nine years. The business serves customers in Summerdale, Point Clear, Washington, Mount Vernon, Axis, Irvington, Gulf Shores, Daphne, Baldwin, Little River, Citronelle, Fairhope, Clark, Eight Mile, Magnolia Springs, Spanish Fort, Wilmer, Theodore, Stockton, Saraland, Grand Bay, Satsuma, Bucks, Robertsdale, Dauphin Island, Mobile, and other areas. Elder Home Inspections, LLC provides inspections that include doors windows, driveways, walks, decks, garages, central air conditioning, heating, ventilation, plumbing and fixtures, water heaters, fireplaces, roofs, flashings, gutters, downspouts, built-in appliances, structure and foundations, and more. Elder Home Inspections, LLC is HomeAdvisor Screened & Approved, a HomeAdvisor Elite Service Professional, and a 2015 Best Of HomeAdvisor winner. Serving the residents of Mobile and Baldwin counties, Inspect Mobile aims to provide customers with quick and efficient home inspection services. The company's home inspection package includes a thorough on-site evaluation of the property using the latest technologies to cover all the accessible areas of the house and more. A detailed report is then sent to the client on the same day, to ensure customer satisfaction. The company also provides mold detection services to make sure the property is healthy and liveable. Previous customers have offered high levels of praise for Inspect Mobile and their meticulous attention to detail in addition to their friendly and personable service. N-Spec Home Inspections is proud to provide comprehensive home inspection services to residents of Mobile, Alabama, and beyond. As a small local business, N-Spec Home Inspections' priority is customer satisfaction. N-Spec Home Inspections is licensed, insured, and a five-star company on Yelp. The company is a member of the American Society of Home Inspectors. N-Spec Home Inspections inspects all aspects of a property, including roof coverings, foundations, heating and cooling systems, plumbing, electrical systems, appliances, doors, windows, walls, ceilings, floors, fireplaces, attics, garage doors, decks, and other interior and exterior structural elements. The company provides inspections for home buyers, home sellers, and real estate professionals. Wingard Services, LLC promises his clients three hours with two inspections in one hour with zero worries. The company serves people in Baldwin County and nearby cities such as Point Clear, Mobile, Daphne, and Spanish Fort. Customers can be home buyers or home sellers, and each client receives a thorough home inspection which comes with a detailed report that also lists recommendations and possible repairs. Wingard Services, LLC additionally specializes in helping new homeowners determine if there are any issues with the property before their warranty expires, such as corroded pipes or problems with the HVAC system. Previous clients strongly recommend the company because of its punctual service, highly qualified employees, courtesy, and general friendliness and willingness to explain details about the inspection process.